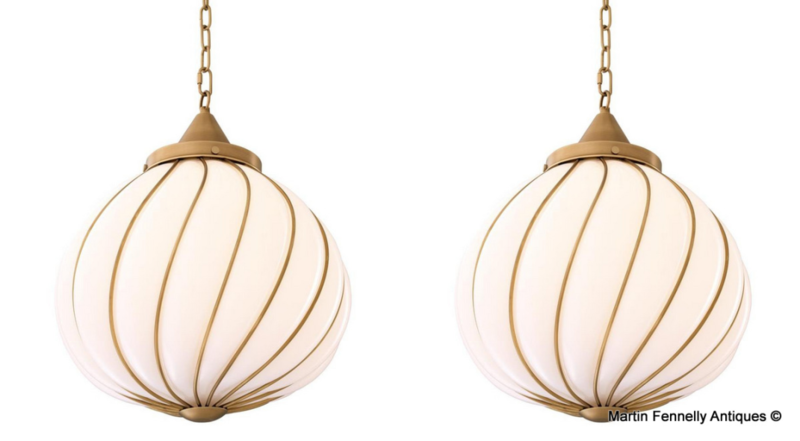 This Pair of superbly designed modern Lanterns are sure to turn heads when your visitors arrive at your home. 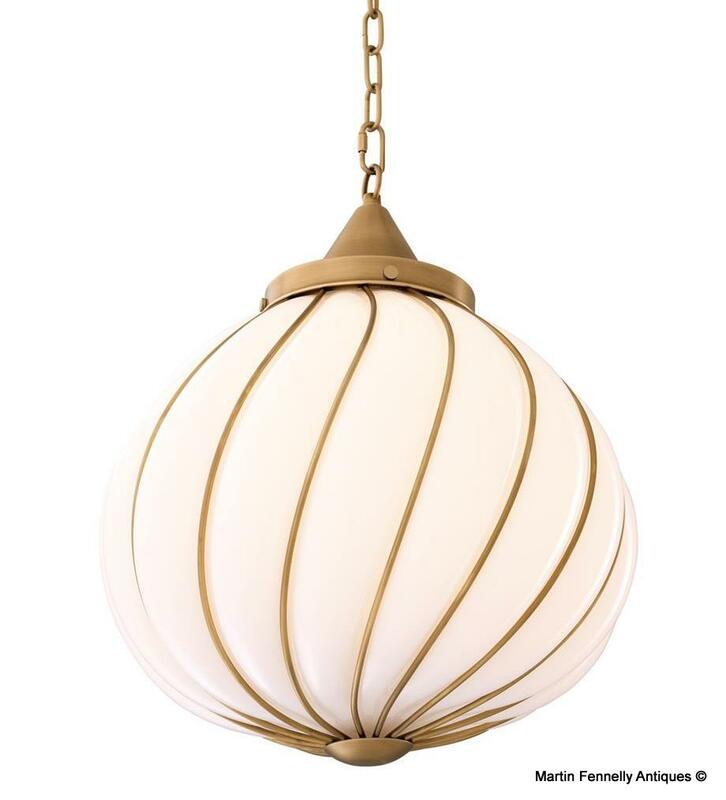 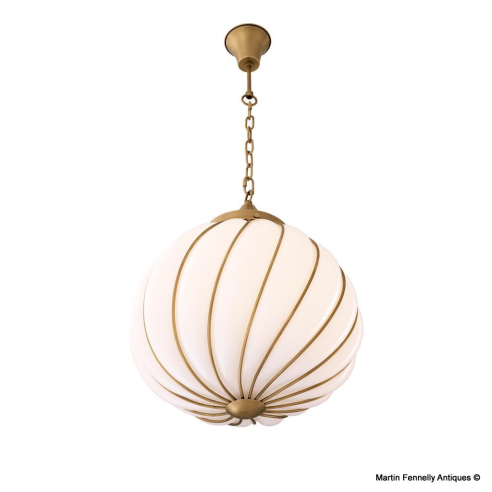 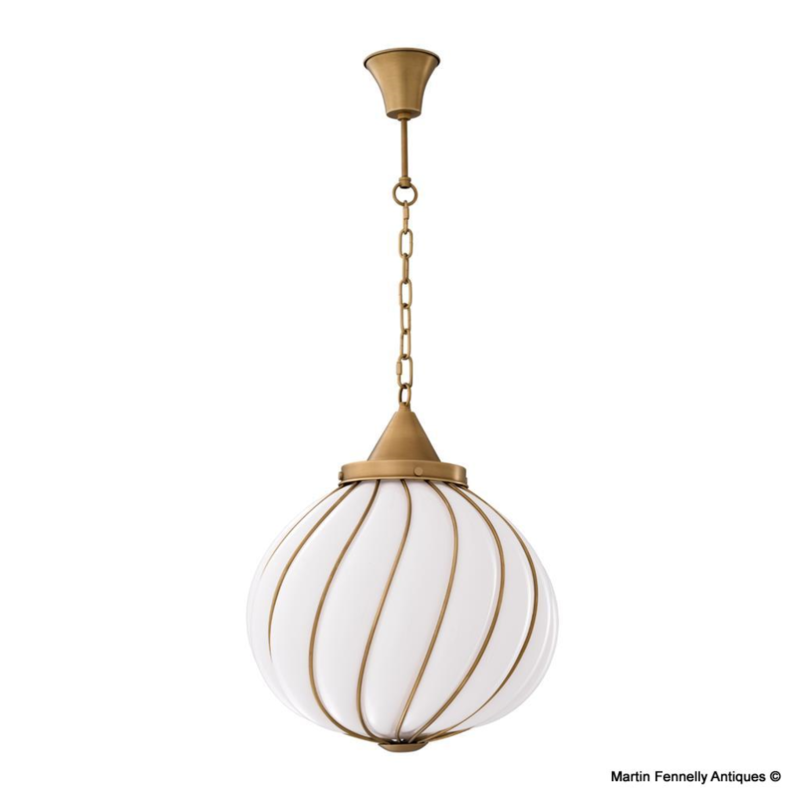 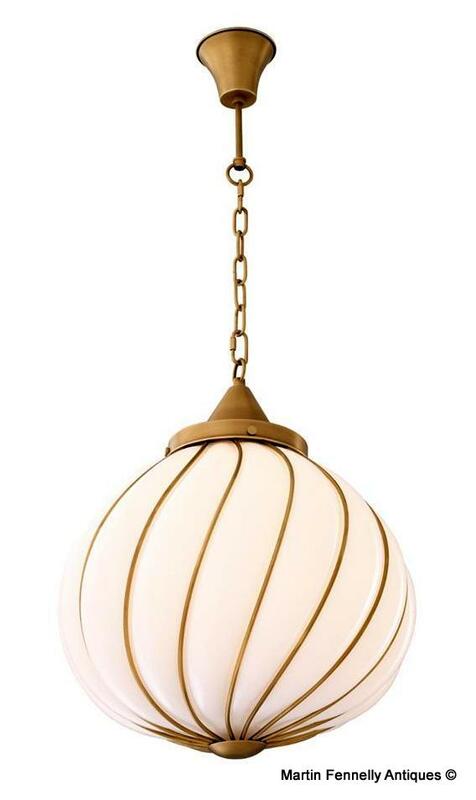 Presented in Brass and White Glass, they come ready for use with brass chain and ceiling cup. 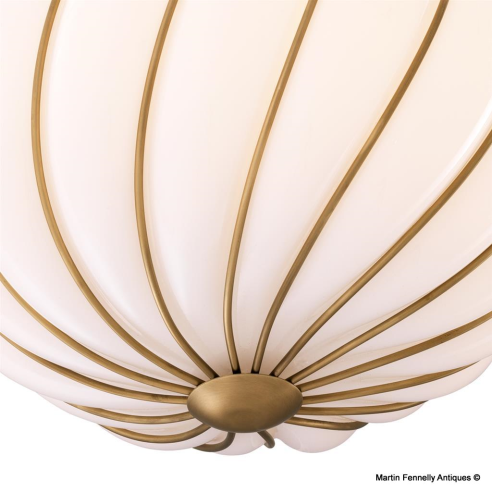 With their nod to the Art Nouveau period and fluid movement they will create a focal point in your hallway. In the larger/higher hallway you can combine a number of them and create a tiered flow of art nouveau ambience. 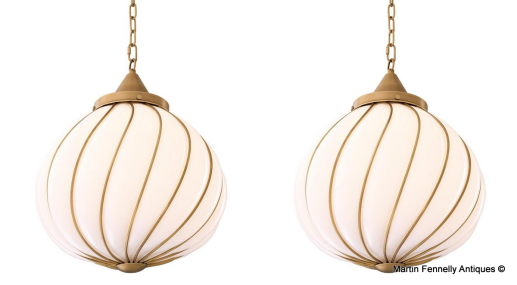 Please note this pair are yet to arrive at my showrooms so contact me for an arrival date.